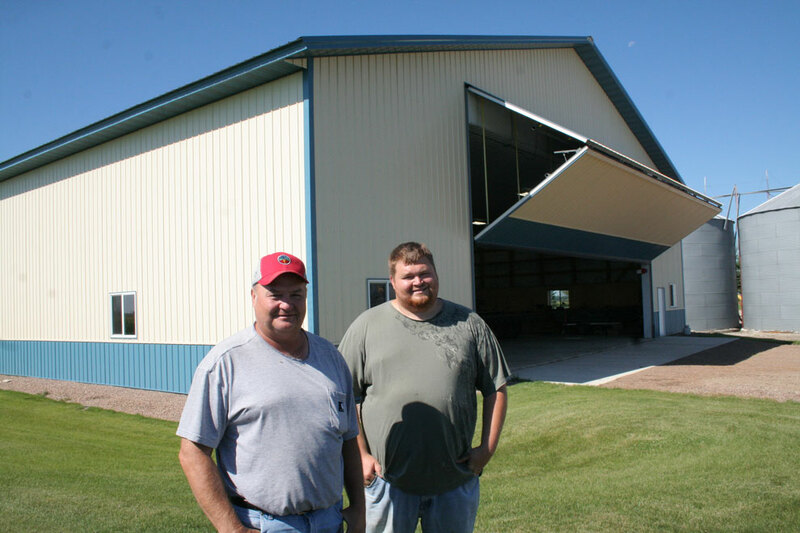 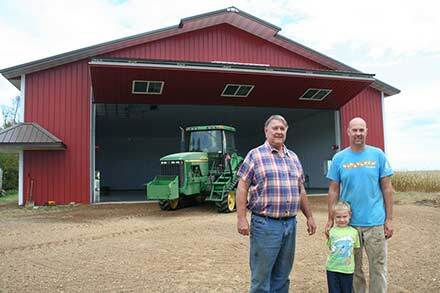 Dave Elfering and his son Brad of Bird Island, MN chose a Schweiss 45’ x 20’ Schweiss bifold liftstrap door to go on their new 150’ x 80’ farm storage shop. 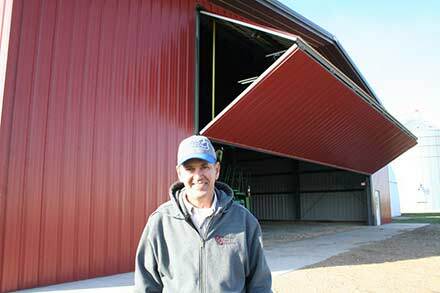 Dave said if he had to do it over he would have gone to a 50' wide door. 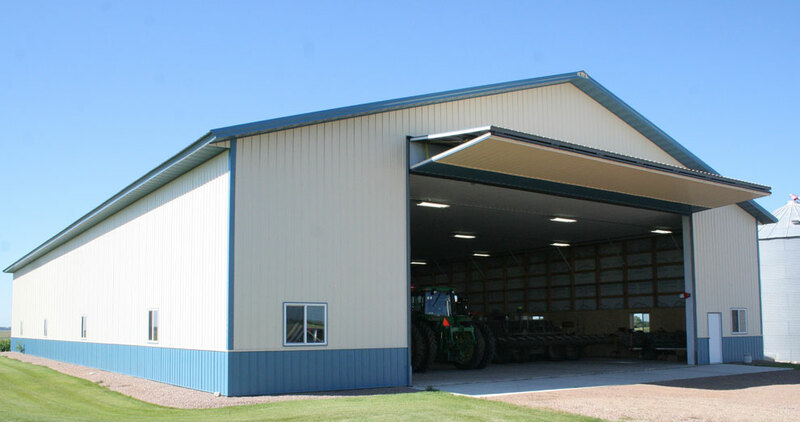 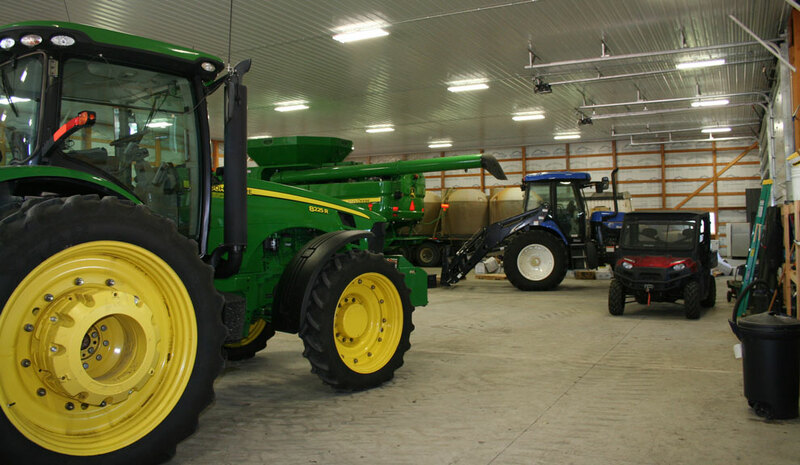 When you have a modern line of farm equipment one thing you want to have is a quality building to protect it from the Minnesota elements. 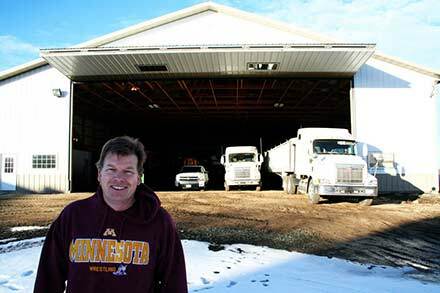 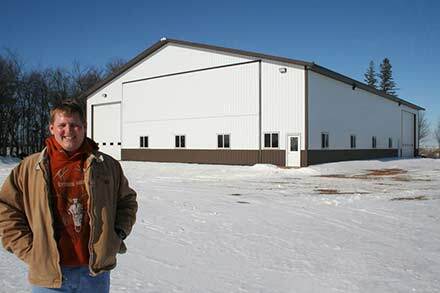 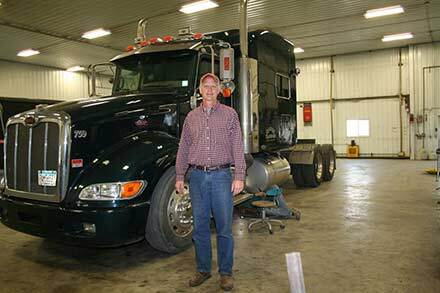 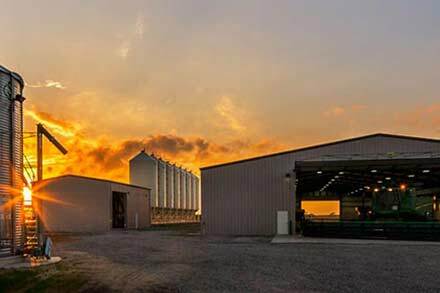 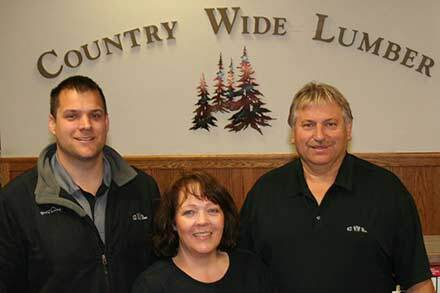 Dave Elfering, who farms northeast of Bird Island, MN went to Country Wide Lumber in Hector, MN for a 150‘ x 80‘ building which combines as a shop and storage building. 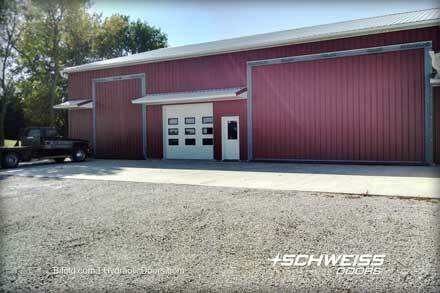 Buildings this size require big reliable doors to bring today's large farm machinery in and out; and for that he made a one-stop shop for Schweiss Doors. 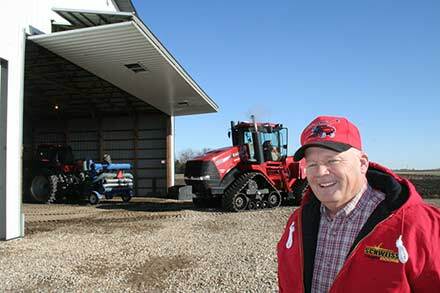 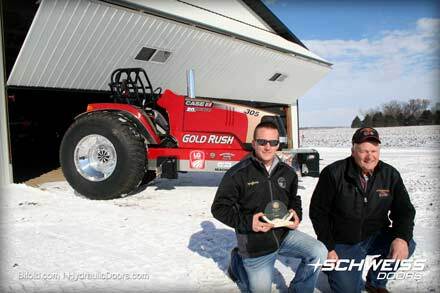 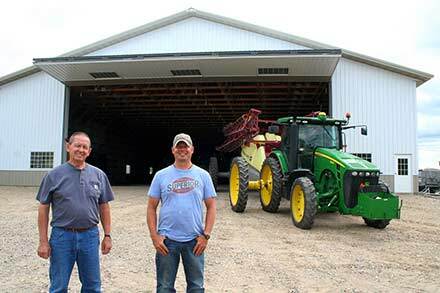 Dave took over farming responsibilities from his dad, Tom, in 1980 and now he and his son, Brad, operate the 1,200 acre farm that produces corn, soybeans, sugarbeets, peas and sweetcorn. 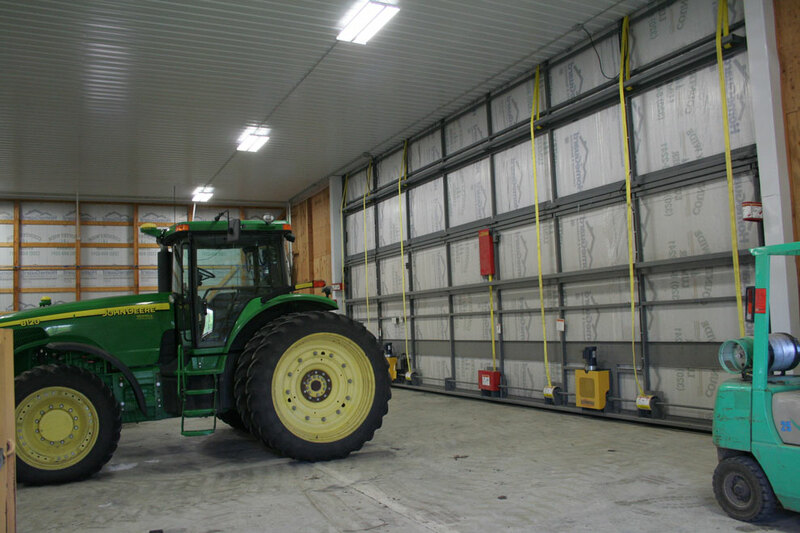 ”I chose the bifold door over the hydraulic door mainly because it was less expensive. 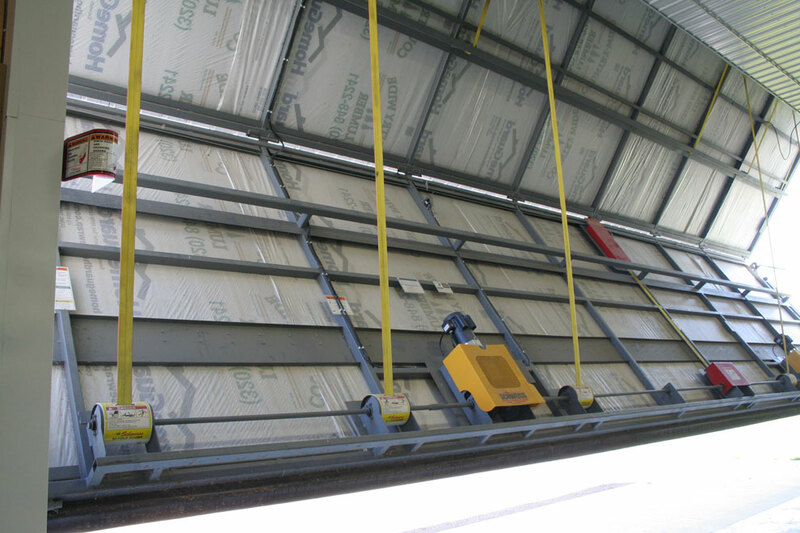 I like the liftstraps, autolatches and remote opener. 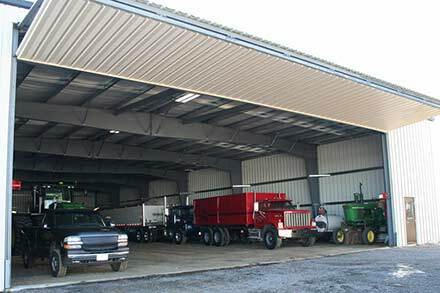 I do wish now that I would have went to a 50' door. 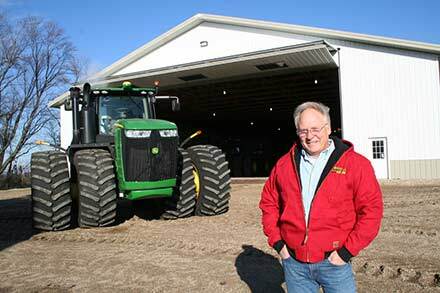 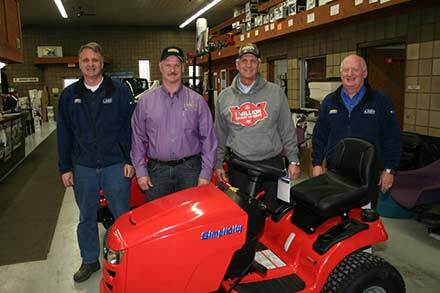 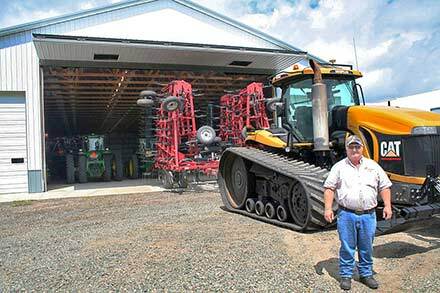 Machinery keeps getting bigger and bigger and taller and taller,“ said Dave. 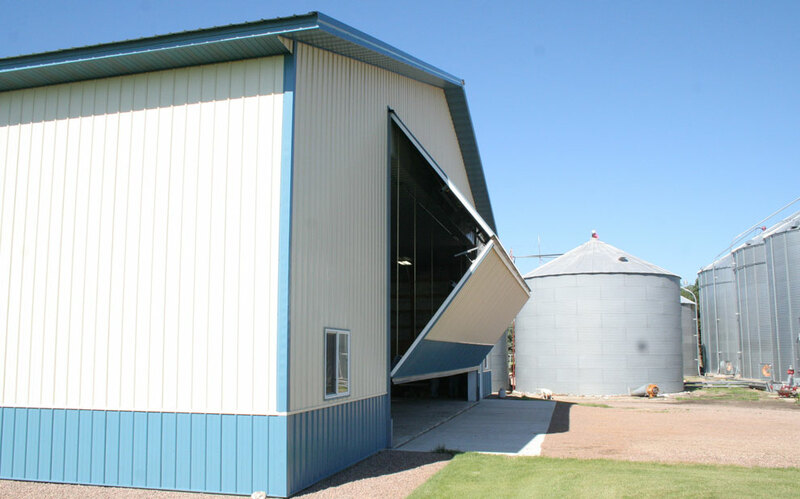 What he did decide on was a 45’ x 20’ bifold liftstrap door. 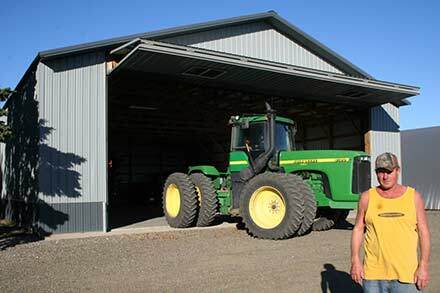 He didn't look at any other manufacturers doors. 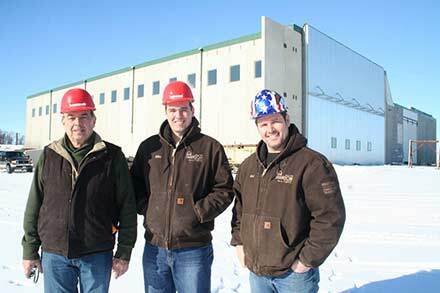 That could probably be chalked up to the fact that his son, Tom, is one of the Schweiss factory premier door builders and more often than not a person who is assigned to working on most of the highly engineered and designer doors that leave the factory on a regular basis. 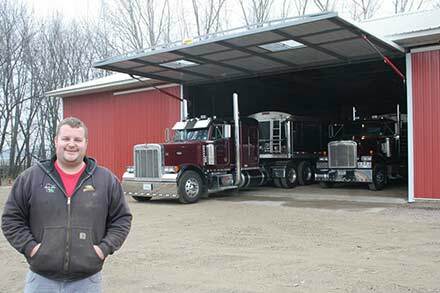 The list of award winning designer doors Tom has had a hand in building is long and very noteworthy. 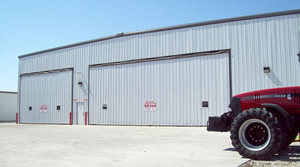 Among them are a lighted logo designer door for Under Armour's corporate store and headquarters in Baltimore; a unique corporate executive hangar door in Mexico; first of their kind lead-lined radiation-shielded X-Ray doors in Connecticut and Texas, a custom made horizontal sandblasting chamber door in Pennsylvania; doors for the University of Minnesota Cape Canaveral and the new Kings Stadium in Sacramento, California; the list goes on and on - he's built a thousand or more doors over the past 10 years. 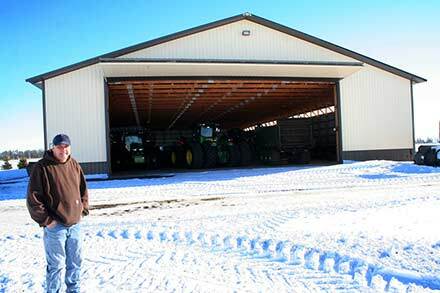 And he helped build and install his dad's door. 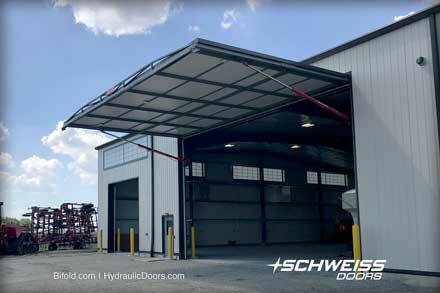 That's something you can say about every Schweiss bifold or hydraulic door that leaves the factory on a daily basis. 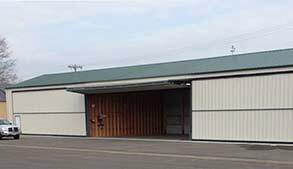 The bifold door can be stopped in any position. 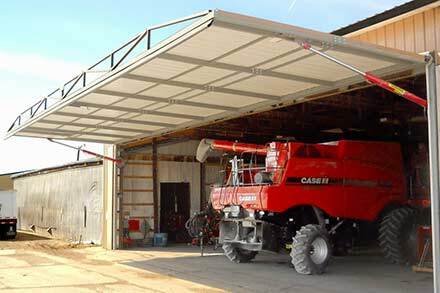 When halfway open it provides for ventilation and gives a nice shaded canopy. 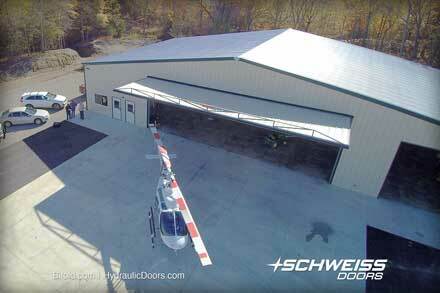 The Schweiss bifold door automatically locks tight into the building with the Schweiss liftstrap autolatch system. 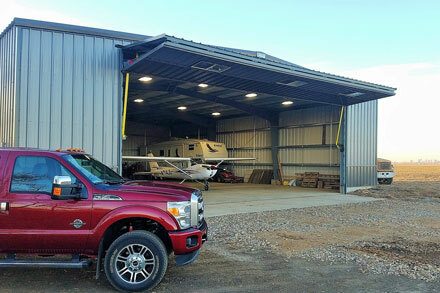 Four strong liftstraps, each capable of lifting 29,000 pounds easily, quickly and safely open this large 45' bifold door which can also be opened via remote control from his pickup or machinery. 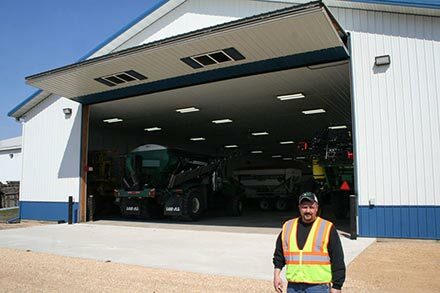 Elfering chose not to place windows on his door, but windows on his building and excellent lighting make for a great workplace and storage environment. 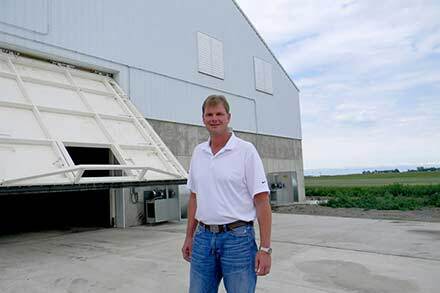 The 36" wedge on Elfering's door gives him a nice shaded canopy when the door is completely open. 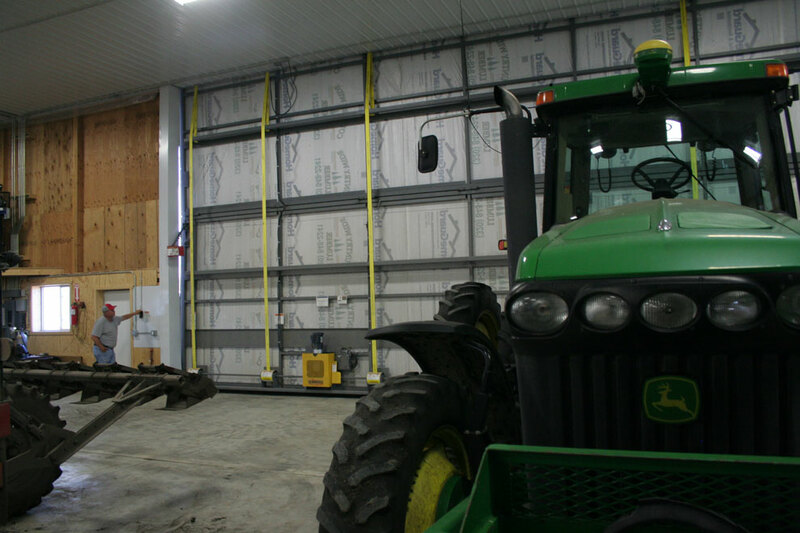 A wall mounted open/close control allows Elfering to open and close his door from within the building. 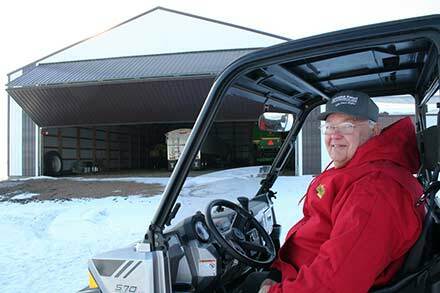 A remote opener also comes in handy from inside his pickup or machinery. 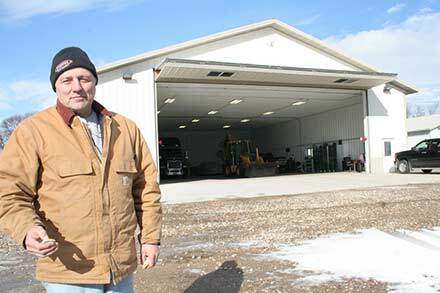 Elfering has his building and door insulated even though the building is not heated. 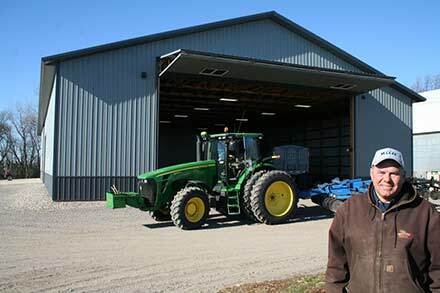 More and more farmers are going to 20' tall doors to gain optimum headroom for big equipment that keeps getting bigger and bigger each year. 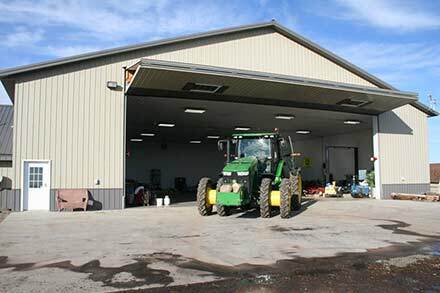 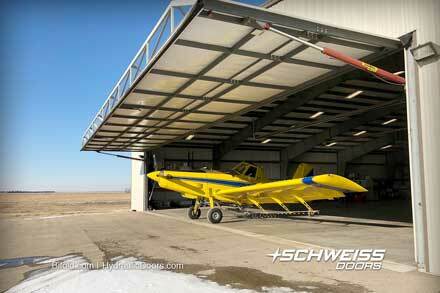 Elferings new 150' x 80' machine shed is the nicest looking building on his Bird Island farmsite. 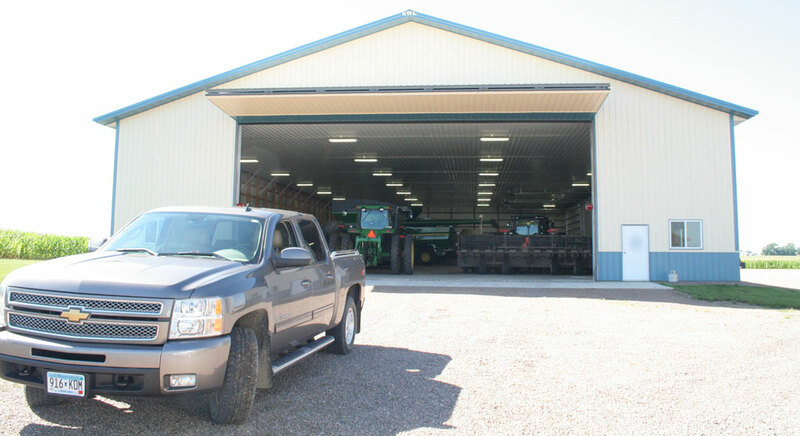 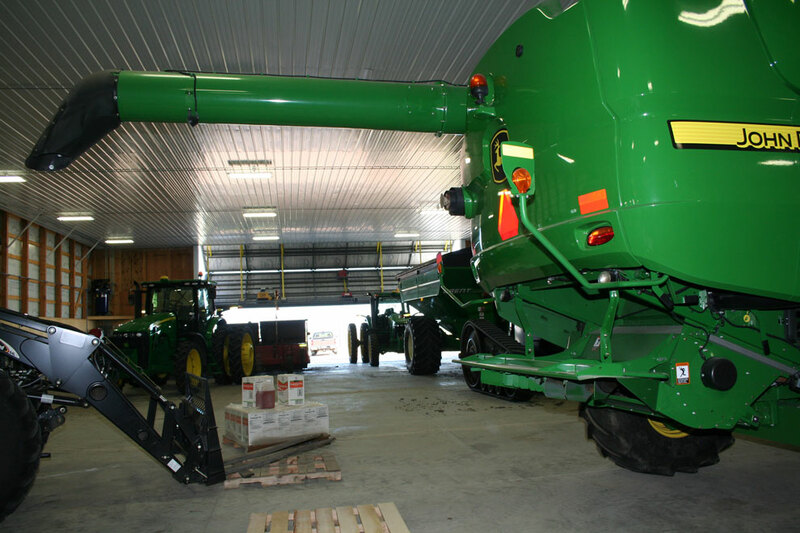 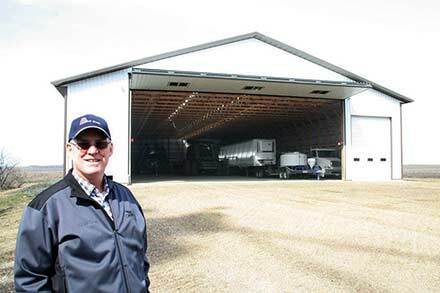 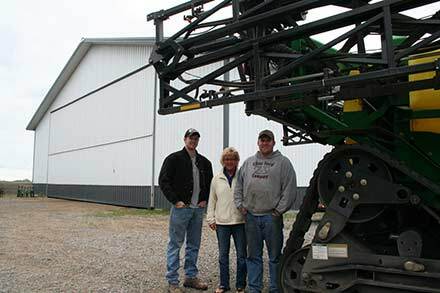 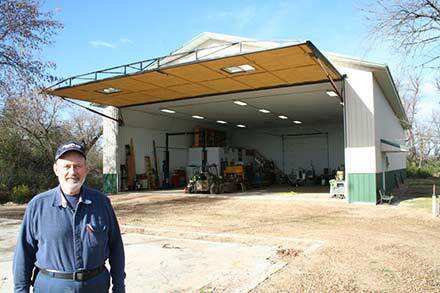 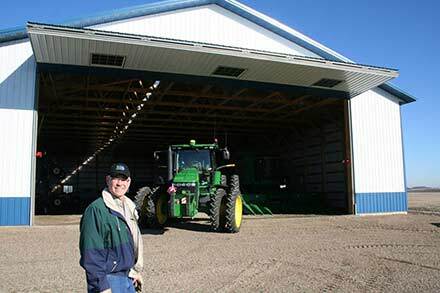 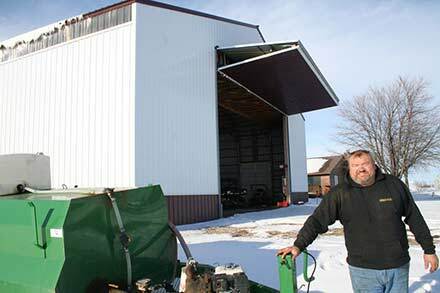 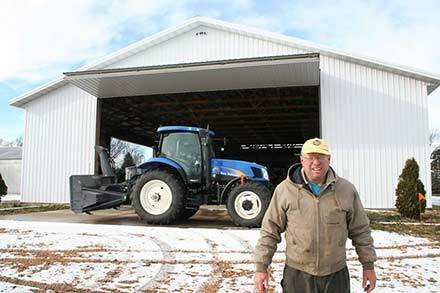 Elfering appreciates the fact that his 20' tall door allows all of his farm machinery to fit inside the building without having to break anything down, which results in a real time saver.